There’s no doubt that caring for a senior’s assisted living expenses can be quite taxing on the senior as well as their family. Arranging for ways to pay for senior living care can be emotionally exhausting as well as financially taxing. Senior care costs are constantly rising, which can make the cost of monthly assisted living rent overwhelming. Whether you’re considering home care, an assisted living community or a residential care home for your beloved senior, there are ways to ease the financial burden. The following are some of the best ways to tackle the financial burden while still being able to cover the cost of quality senior care. Consider Long-Term Care Insurance Medicare or Medicaid are great options to help pay for assisted living, however these services do not always pay for everything. For that reason, long-term care insurance might be a great option. This type of insurance addresses the gap, and estate planning can give your family financial access to long-term care that might not have been an option otherwise.2. Have a Roommate Believe it or not, a great way to save money at an assisted living facility is for seniors to share a single room or apartment. This is a great way to fight loneliness and develop a sense of companionship as well. Explore Veterans Benefits For those seniors who served in the armed forces, there are often options via the Department of Veteran Affairs that help to cover costs of senior care. 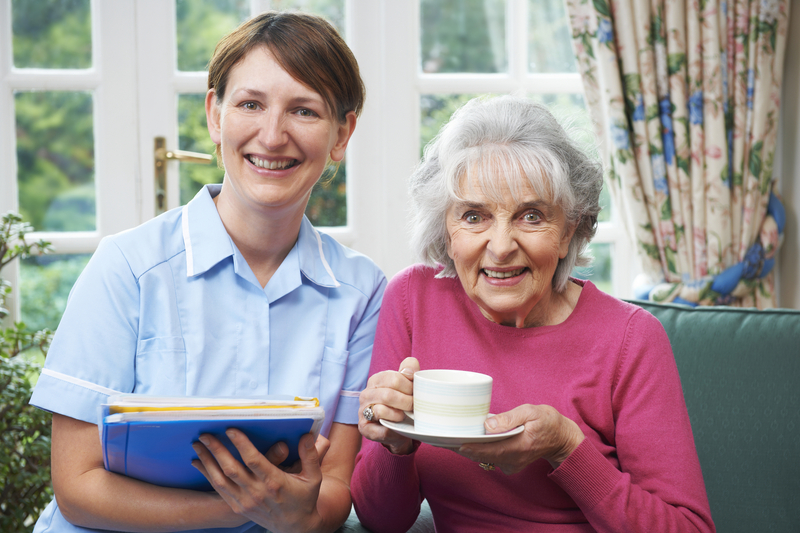 Compare Care Types There are many varieties of senior care. Assisted Living can be expensive, but if your senior is independent and able to live on their own, then in-home care is a less expensive option. Be sure to compare costs that best suit your budget and requirements.5. Compare A La Carte Costs with Inclusive Pricing Although many assisted living facilities are “all inclusive,” it’s worth asking about “a la carte” options that might include doing some of the services yourself. Rather than having a nurse bathe your beloved senior, you might find a discount if you do it. Options like that can save you hundred a month. Bear in mind, however, that you must be willing to take on the work on a regular basis. For many families, the all-inclusive option is worth it despite being more money. Selling a life insurance policy is known as life settlement. It involves taking your current life insurance policy and selling it to another person or company who then pays the premium going forward, yet, they collected the benefit when you pass on. This is a difficult option to consider because it typically negatively affects the financial future of those in the will, but it is an option if paying for senior care seems impossible. Pooling Family Support For those seniors who can’t afford assisted living on their own, utilizing financial support from family members, children and friends is a way to ease the burden. If each person pays a small percentage, the grand sum will be much less and comfortably paid. This is a great idea considering the senior will not be living in their home anyway. When possible, put the home up for rent and use the money to help pay for the assisted living facility. This is a particularly great option because most mortgages are paid off by the time a senior is ready to move into an assisted living facility.If you are looking for a quality assisted living facility please search this site; We have thousands of licensed assisted living facilities to choose from.